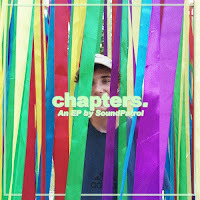 CHAPTERS Netherlands producer, SoundPatrol, releases a beautiful 7-track EP titled Chapters. Featuring collaborations with Evar and imissu, the EP obtains sweet sounding synths that captivate SoundPatrol's playful character in music. Tracks like "Could've," "Chapters," and "Bound" have a special aura that carries you into a peaceful state of mind. Each song is carefully constructed to create one adventurous soundscape-like project. Exposing the growth in manifesting his individual sound, below share and listen to SoundPatrol's EP Chapters! "CELLOPHANE" - UMRU FT. SOPHIE MEIERS & LIL CURRY Who needs a fireside this season when you can heat up to an epic collaboration from New York producer umru! "Cellophane" features Sophie Meiers and Long Beach artist Lil Curry. The peculiar production combines liquid vocals from Meiers and Lil Curry with livid drum work and suffocating 808s. The track drips with condensing distortion creating an ear alluding haze for our enjoyment to gladly subside in. Its purely another masterpiece from the Estonian prince. 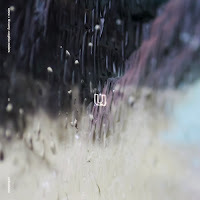 Below share and listen to umru's "cellophane" featuring Sophie Meiers and Lil Curry! Check out the "cellophane" lyric video here! 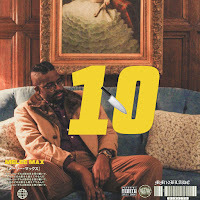 10 BLADE Hip-hop artist Melee Max arises with his newest EP titled 10 Blade! From Dallas, Texas, Max brings his own sound through five various tracks. Released through Palettes label, the EP describes his trials in life through implementing those emotions in his music. Melee Max offers us heated tracks such as "Killer Instinct," produced by T5UMUT5UMU, or "Blame You," produced by Sleye, a song of smooth melodies and vocals being a standout piece in the project. 10 Blade is Melee Max's second EP in which it displays this artist's growth as an underground hip-hop artist! Below share and listen to Melee Max's EP 10 Blade! "BOOTY HOP" - JILL STRANGE FT. CLB Get your Christmas exceptionally lit with a new club track from Chicago producers Jill Strange and CLB! 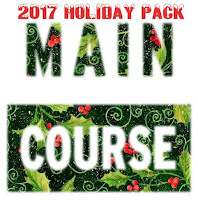 Released via Main Course Records'2017 Holiday Pack, this modern footwork piece will get your holidays shaking with its bouncing bass and festive vocal chops. This duo wrapped their musical gift in superb drum work and the appropriate amount of wailing sirens due to their unrelinquishing Christmas spirit. Below share and listen to Jill Strange and CLB's "Booty Hop"! "PINEAPPLE EXPRESS" - GENERIC. 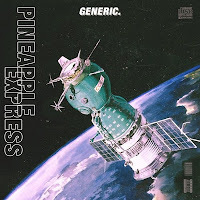 SoCal's multi-member hip-hop group, Generic., drop a heated jam titled, "Pineapple Express"! Heavy 808s and liquid rhythm and rhyme, this contagious crew show what we can expect from their upcoming project. Its water rushing sounds and smooth jazz trumpets get your feels in a tangle of hip-hop delight. Performed by zarek, Petti, and Andre Santi, below share and listen Generic. 's "Pineapple Express"! Also, keep an eye out for their 2018 project Space Juice Vol. 2: Identities. "CHERRY POP" - ZANKYOUZankyou releases a new track titled, "Cherry Pop." A sweet song ready for your ears, the track is composed of gorgeous strings and heavenly vocals. The blissful piano ballad and bright synths "pop" as zankyou constructs a colorful melody. The Floridian producer uses a variety of vocal pitches, subtly breathing life into this musical piece. "Cherry Pop" glows with rays of future and pop styles eminently. Below share and listen to zankyou's "Cherry Pop"! 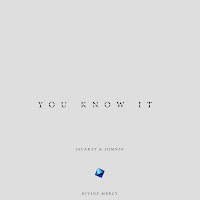 "YOU KNOW IT" - 26CARAT & SOMNIO Producer 26CARAT, from Nashville, Tennessee, drops a new release with Somnio titled "You Know It"! This catchy number whirls in shimmering chimes and riveting bass encasing a tune to get your head bobbin'. A mixture of future, trap, and pop, their collab was released via Divine Mercy, an artist label started by the producer Türküm. Consistently releasing music from artists from around the world, the label always puts their audience onto new refreshing talent. Below share and listen to 26CARAT and Somnio's "You Know It"! This year has been filled with some really great pop music and Charli XCX’s new mixtape POP 2 is no exception. “I GOT IT” brings an amazing new instrumental sound to pop music thanks to the production by A.G. Cook and umru, with smooth percussion and an insanely catchy beat. Every verse on this track is a statement of personal greatness; Charli delivers a few lines about her jealous haters who envy her for what she’s got, and CupcakKe goes off about her success so far in the industry and all the money she’s making. Check out "I GOT IT" and the rest of POP 2 below! POP 2 is available for purchase here! 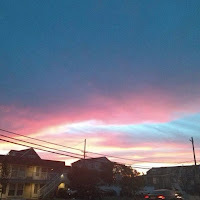 "STOWED AWAY" - FLAMINGOSIS & EHIOROBO Brooklyn's Flamingosis and New Jersey's Ehiorobo collide together and deliver a delightful song that will warm your heart in this chilly winter. Jazzy electric guitar and keyboard instrumentals outline the essential Flamingosis groove that oozes from the second you click play. The Willy Wonka-esque strings paired with Ehi's soulful vocals turn "Stowed Away" into a quaint modern romance. The two artists bring out the best in each other displaying complete and utter artistry. "Stowed Away" being the 3rd release from their upcoming 2018 album, keep a sharp eye out for what this duo has in the works. Share this with your loved one this season and give it a listen below! 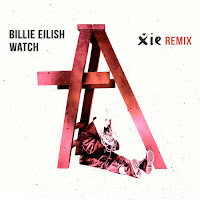 "WATCH" - BILLIE EILISH (XIE REMIX) Producer Xie released a fresh remix of the singer Billie Eilish's song "Watch." Occupied by pillowy sythns and gravitating sound structure, Xie's refreshing take leaves you with ease and awe. Her talents reside in all forms of media, from being trained in classical production to being a multimedia artist. In her latest remix, she dives into a new style for her as a branching electronic artist and she's doing it sincerely well! Below share and listen to Xie's remix of "Watch"! 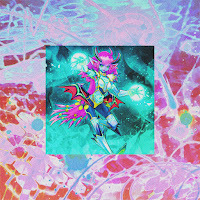 "SPELLS" - HALPE Halpe casts a bewildering charm upon listeners with his new track "Spells!" The range in the way he makes use of high pitched vocals, drums, and synth work revolves around an anomalous experience. The track's sweet yet thundering aural captures halpe's unique sound from start to finish. If Cashmere Cat and SOPHIE had a love child, this song would most likely be conceived. Continuing to enchant his audience, below share and listen to halpe's "Spells"! Tomi Lahtinen or Tomppabeats is a producer from Finland who’s been flying to the top of his genre’s scene for a few years now. He’s seen lots of success in his first full-length project Harbor LP and his new album release Arcade proves he’s here to stay. Arcade is filled with his iconic warm, cozy, and nostalgic sound, while remaining original. Tomppa’s always been great with sample work, but this time around he showcases a lot more of his production skills, which is a wonderful addition to this collection of tracks. 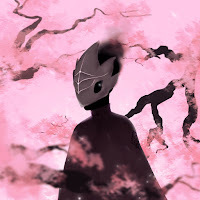 Whether you’re relaxing and need some chill music to groove to, or you’re cramming for your next final, Tomppa’s got you covered with his new tunes. 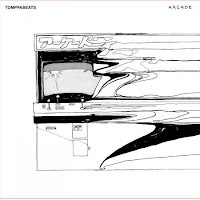 Check out Arcade and Tomppabeats with the links below! VISUAL ARTIST: RIZA AGUASIN From Vancouver, Canada, illustrator Riza Aguasin has footprinted her voice in the underground art community with every piece she produces. Vivid colors fused with dark atmospheres collide together in Riza's art. Inspired by the vast music/art online scene, the depth and emotion are detected with every stroke and shade used. Riza has done work for various artists such as Zankyou, Ramen Boy, Madnap, and Yitaku! From characters with dreary souls to bewildering landscapes, her illustrations use a variety of textures and color combinations to exude her signature artistry and aesthetic. 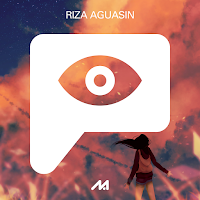 Below read all about what is behind Riza Aguasin's art and where her inspiration for her work derives from! Enjoy! 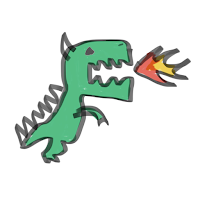 Question 1: What got you into making graphic art? "MELON" - CRAPFACE Hop into the mind of Crapface with the new release titled, "Melon"! Released through NOt LIke That Label, the Canadian producer plays with numerous samples and romantic instrumentals, forming a track that has blissful rhythm and rhyme. "Melon" captures sounds of playful pop enticing its listeners to every second of the song. The airy drum patterns and vocal chops swim amongst the soulful strings of the harp. Premiering on MELTING OF AGE, below take a listen to Crapface's fanciful "Melon"! 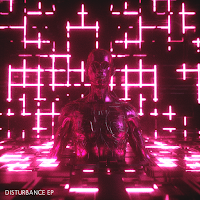 DISTURBANCE NY producer, JEANIE, launches her new EP that wraps the theme in an intergalactic mission to take listeners to a new dimension of bass music. Titled Disturbance, JEANIE's latest project consists of four tracks that establish her signature sound as an electronic producer. "NASA" opens the EP with a powerful liftoff with subtle use in rap lyrics and raging bass. Then daunting its way next, the EP titled track embraces cryptic noise that moves the muscles in your body one beat at a time. It's truly a glorious feeling. Inspired by artists such as masterminds Zeke Beats and Noisia, the heavy techno and dubstep pleasures leak into every song on Disturbance. If there are any artists you are keeping an eye on, JEANIE should positively be one of them. Below share and listen to JEANIE's Disturbance EP! For this month's Total Meltdown Playlist we have a jammed pack list of songs ranging from artists such as TOMPPABEATS, Carpainter, Rusty Hook, and Celadon City. 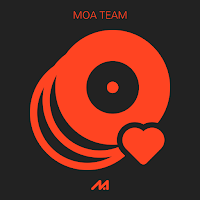 Organized by the MOA team, we hope you enjoy!